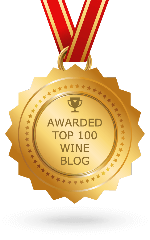 I was fortunate to be a judge at two wine competitions in November, but that meant a total of four busy days. It might sound crazy, but after tasting a lot of wine—not drinking, just tasting and spitting—I needed a little time to relax and drink some wine. Fortunately, Gloria and I were both able to take a Monday vacation day, and we decided to do a little road trip from Sunday to Monday, which I call an off-weekend. We knew one advantage to visiting wineries on a Monday was there were going to be less people visiting. The disadvantage though is on Sundays, wineries usually do not open until noon and then a lot of them close at 5:00 p.m. hence limiting the amount of time we could visit places. 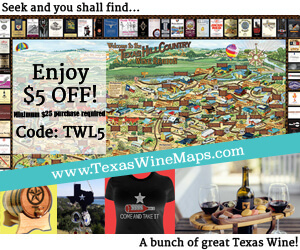 I pulled open the Texas Wine Lover winery map, and then began my research and planning. 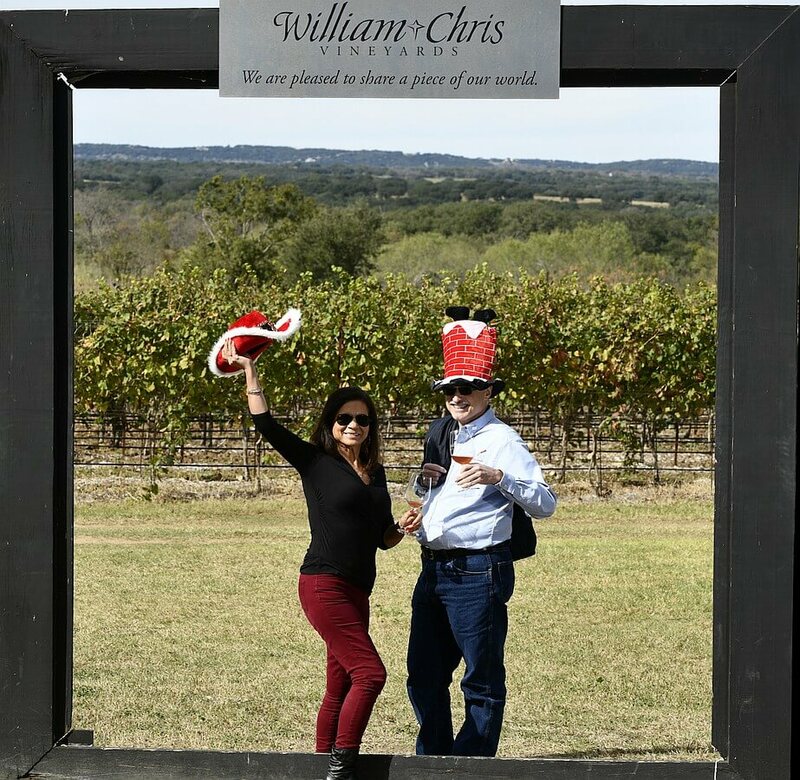 Thankfully there are a few wineries that open around 11 a.m. on Sundays, so we decided what to do and began our trek west from Houston to the Hill Country. We first arrived at Lewis Wines in Johnson City. 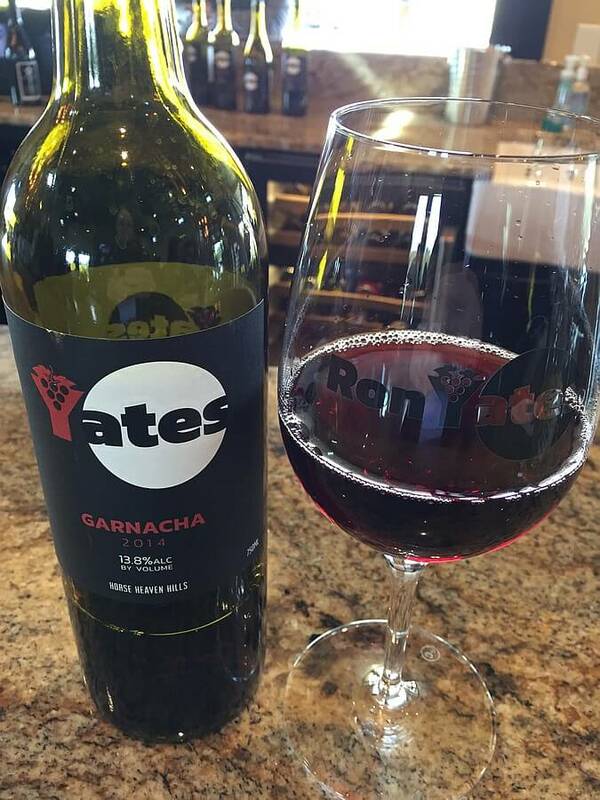 Unless a winery has a lot of new wines since we were there last, we often decide to have a glass of wine instead. Depending on the amount of wines in a tasting and how much wine you get in a glass, it is sometimes less wine too which helps to make the visits safer. We enjoyed a glass of wine at Lewis Wines underneath their wonderful pavilion in some comfy furniture. 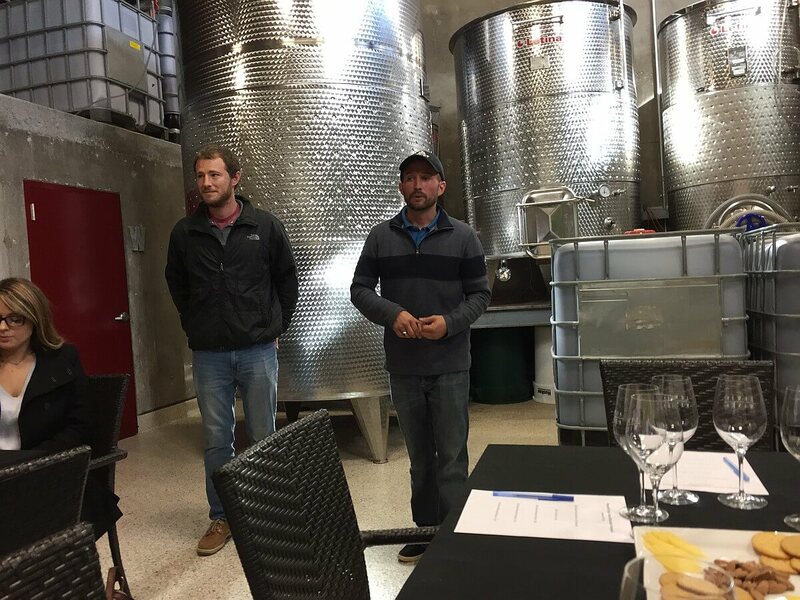 While enjoying our wine, we learned that later that afternoon, owners Doug Lewis and Duncan McNabb were going to be holding two Round Mountain Vineyard tastings in the winery. 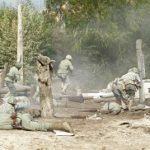 You need to be prepared to change plans if needed, and this was the first needed change. We made a reservation for one of the tastings in the afternoon to return to the winery. Our next stop was the increasingly popular Ron Yates. Their tasting room is nice and the wines are excellent too. We decided again to get a glass of wine each, and during our visit, we met a nice couple who just happened to be from the Houston area too. Ironically, we actually ran into them first at Lewis Wines, and after we both arrived at Ron Yates, that’s when we started talking. We all enjoyed the wine, and after offering a couple tips on where to visit, they headed off to a different winery than we were going next. We were going to a different winery because we were going to attend the William Chris Vineyards pick up party. 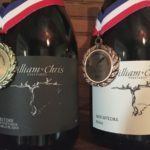 As a lot of people are aware, William Chris has a lot of wine club members requiring them to hold pick up parties on two different weekends. Even so, there are still a lot of people at each pick up party. But after all this time, they have the art of a pick up party down to a science. Valets greet you to park your car, and after checking in, you receive a checklist of the different places on the winery grounds to do different things, from tasting wine to eating, and even getting your photograph taken. Miguel Lecuona, owner and photographer of Hill Country Light Photography, was present to take photos of guests near the popular large picture frame including even holiday hats for decoration. We said hello to Miguel and yes, even wore a couple funny hats because he convinced us to do so. We didn’t stay long with Miguel because we knew we would be seeing him later. The pick up party was a lot of fun as usual, and we enjoyed the various white and red wines they were offering, along with a barrel sample of 2015 Petite Sirah from Lahey Vineyards. We could have stayed longer at the party, but with the Sunday hours of wineries closing earlier, we needed to leave to visit more. 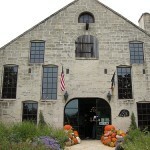 We then stopped at Kuhlman Cellars. We were hoping to get a glass of the new Sangiovese-Malbec-Tempranillo (67% Sangiovese, 20% Malbec, 13% Tempranillo), but they were not serving that by the glass at the time. Knowing how great the wines are at Kuhlman Cellars though, we ended up buying a bottle and are awaiting the time to open it at home. Of course, we also had to stock up on the Herbed Almonds! Everyone enjoyed the tasting and we were all able to buy any of the previously released wines. By now, the afternoon was quickly coming to a close so we headed into Fredericksburg for our last winery stop which was Andreucci Wines. Gloria wanted to go back to the tasting room and pick up some more of the excellent Italian wine. We enjoyed a tasting of their wines, had some delightful conversation, and Gloria accomplished what she had intended. It was now time to walk around the corner and have dinner at the Treaty House. We had previously arranged to meet with Miguel and Barbara Lecuona. We enjoyed one of Treaty House’s cocktails and then a very nice dinner. The evening was ending and it had been an enjoyable time with Miguel and Barbara. 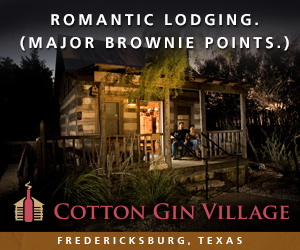 But now it was time to check into where we were staying for the evening, one of the cabins at Cotton Gin Lodging. I previously wrote about our stay in the cabins and it was a wise choice to stay there. 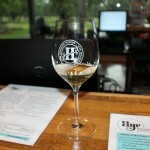 Monday morning came and since we had to head back to Houston, we decided to visit wineries along the way. 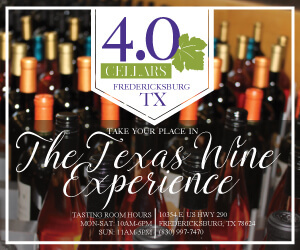 First up was a visit to 4.0 Cellars which opens at 10:00 a.m. Somehow most times when we arrive at the tasting room, General Manager Jesse Barter is working outside and sees us arrive. It was the same this time, and he greeted us at the parking lot. After exchanging pleasantries, we went to the tasting room. One of the things we had to do was pick up a wine club shipment for Gloria’s brother and sister-in-law. 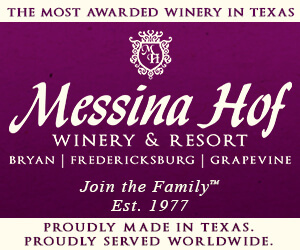 By now, Fiesta Winery 290 was open so we headed slightly back toward Fredericksburg to visit the tasting room. Since we were being responsible driving back, we shared a tasting. It was nice seeing how the wines from Fiesta Winery have evolved since their opening, including more dry wines and canned wine too. 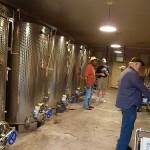 In the same complex is Six Shooter Cellars, so we stopped in there to see what was new. 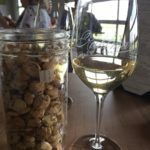 We knew that Copper Star Cellars now had their wine in the tasting room, so now was the chance to try their wines in addition to the other wineries that have their wines available there. But we also learned a big change too. 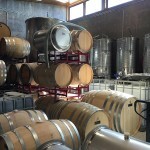 Originally, Six Shooter Cellars was a partnership of multiple wineries forming the tasting room. 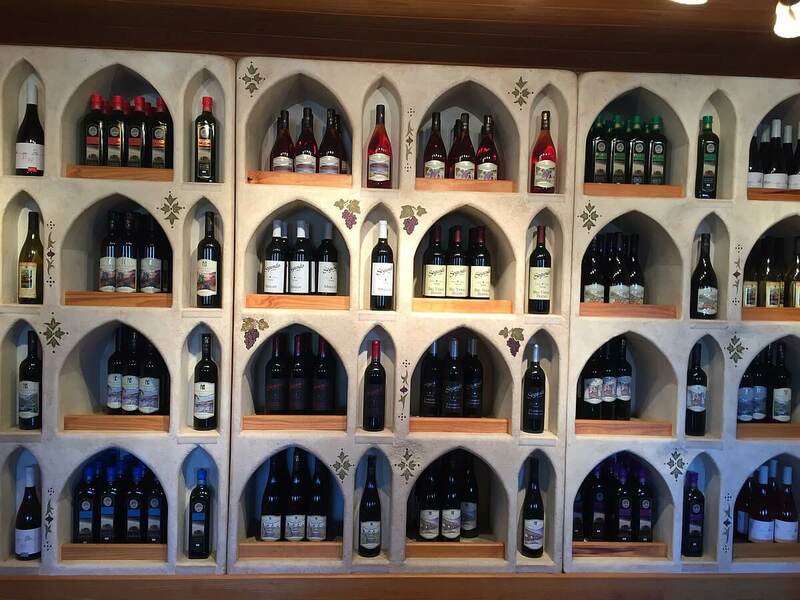 Earlier this year due to personal circumstances, Six Shooter Cellars was sold to Dave and Debbie Charlesworth. The wines being offered in the tasting room today are from the wineries: Clear Creek Winery, Cowtown Winery, Texas Legato, Blue Lotus Winery, Texas Mead Works, and Copper Star Cellars. We headed back east and stopped at Mendelbaum Cellars. 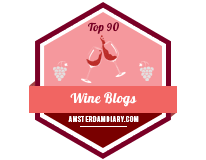 It had been a while since we had visited, and everybody who mentioned the winery online raved about the wines from Israel. There are a number of wines to select from as a tasting includes five wines, but you can get extra samples for a small fee per sample. At the time of our visit, the Israeli wines consisted of three white wines, four rosés, and six red wines. 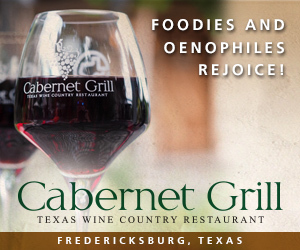 In addition, there are five Texas red wines available for tasting. Their flagship wine, the 2014 Mare Nostrum (Syrah, Carignan, Durif/Petite Sirah) is not included in the regular tasting, but can be tasted for about what a glass of wine costs elsewhere. We were also told about a wine pairing that is sometimes done which sounded interesting. The wine pairing consists of Biblical cuisine of five ancient dishes paired with five varieties of wine from the Holy Land. 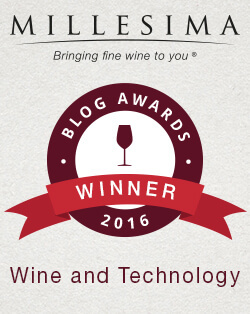 Keep watching the Mandelbaum Cellars website for future wine pairings. After hearing about the wine and food pairing, and since it was now time for lunch, we decided to stop at Grape Creek Vineyards and eat at their newly enclosed Stout’s Trattoria. The Italian restaurant had a nice selection of foods including appetizers, salads, pizza, sandwiches, and entrees. The three entrees that were available at the time were Chicken Ratatouille, Jennifer’s Filet Mignon, and Bolognese. Lunch was fantastic and it had been an excellent idea to enclose the restaurant to protect against the elements whether it be heat or cold. We can definitely recommend visiting Stout’s Trattoria, and most probably on a non-weekend day. 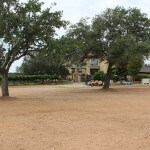 Our last winery stop was at Pedernales Cellars. As I mentioned before, we often get just a glass of wine instead of doing a tasting, and it was the same way at Pedernales. We both selected a wine and sat on the large patio to enjoy the wine and the view. 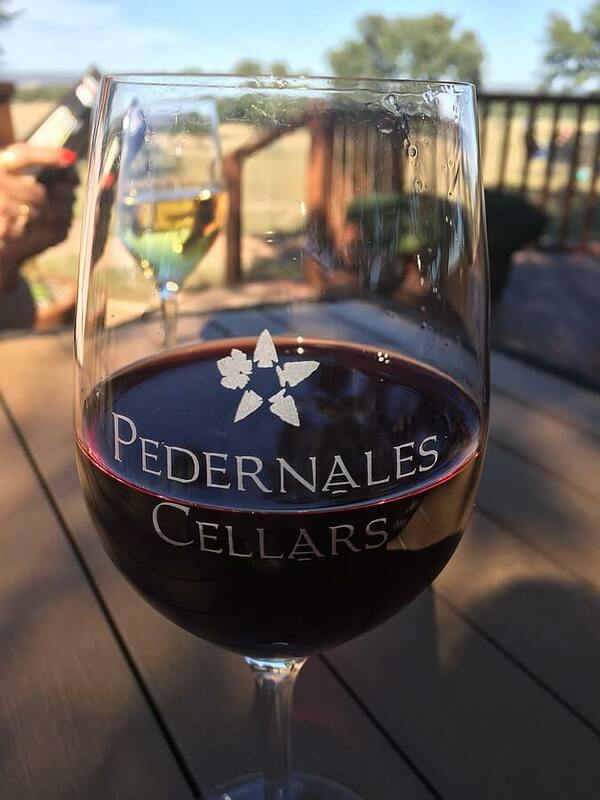 Pedernales Cellars never fails to deliver excellent wine and this time was no exception. It was now time to head home, but first we had to make a right out of Pedernales Cellars to see a new location for Narrow Path Winery. 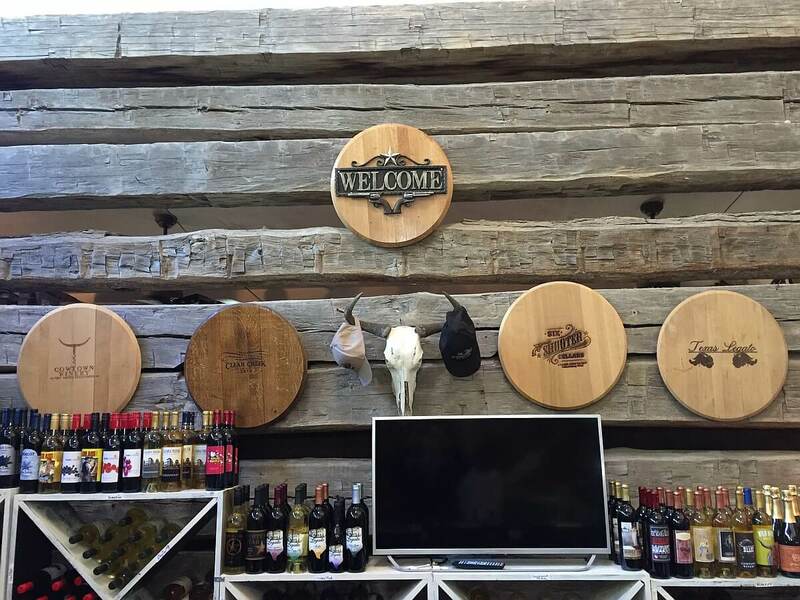 The tasting room in downtown Fredericksburg had expanded by building a winery near their vineyard in Stonewall, and it had just opened the week before. Unfortunately, they were only open on the weekends at that time, so Monday did not work in our case. The winery looks nice and we can’t wait to return on a future visit. Texas Wine Lover looks forward to writing about the winery’s new location in the near future. We made the trip back to Houston without incident, and we recalled the fun we had on our off-weekend road trip to the Hill Country.